← The Bane Of Every Fan’s Life! Surely It’s Time For 3G? Will the introduction of a new generation of artificial pitches save our lower and non-league clubs, or are they a non starter? During winter, one thing is certain; we will see dozens of games fall victim to the weather. This raises the old debate: do we need to get widespread approval for 3G pitches? Supporters say that they will virtually guarantee matches go ahead and won’t fall victim to the weather, while they can be used 24/7 without having to worry about the condition of the playing surface. Detractors point to the fact that they are still an artificial surface, and that football should be played on real grass. So which side of the argument is right? Are we heading towards artificial pitches at all levels of the game? I am going to try and fight both corners in this article, and then deliver my verdict on the matter. Firstly, the argument against them. While artificial pitches are undoubtedly getting better, they are still artificial. Football has always been a game best played on proper grass and mud. Older fans will remember the awful pitches at Luton Town’s Kenilworth Road or Oldham Athletic’s Boundary Park, and how the ball would just bounce at stupid heights and prevent any kind of decent football being played. A lot of fans will take a lot of convincing that 3G is the way forward. Then there is the cost. An artificial pitch can cost up to £500,000 to install, which is way out of reach for the majority of non-league clubs. There are grants to be had, but that would maybe only cover half the cost, still making them an expensive proposition. Yes, they can be used twenty four hours a day, seven days a week, and would recoup the outlay pretty quickly, but that initial outlay is still a huge obstacle. Also, while an artificial pitch would pretty much eliminate postponements due to a frozen or waterlogged pitch, how many times do we now see Health & Safety intervene? 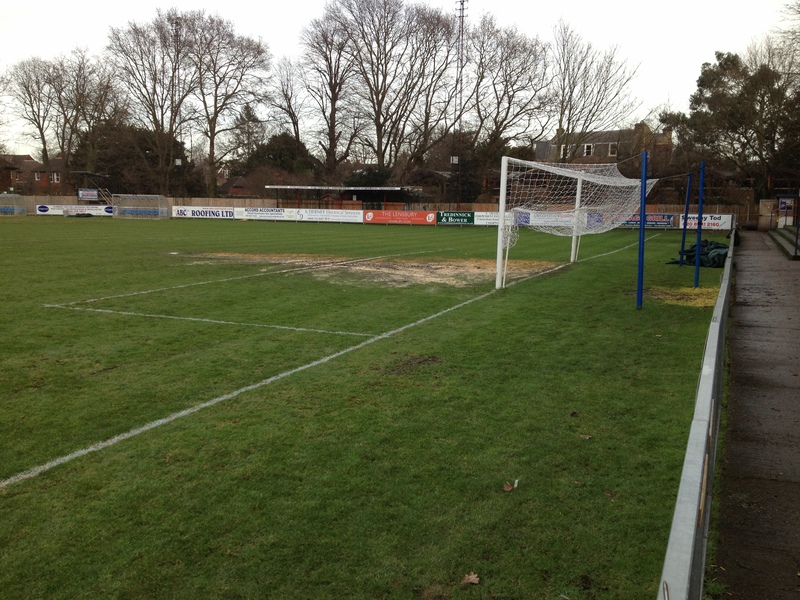 An increasing number of games now get called off because of the surrounding area around the ground, even though the pitch is playable. Next up: the authorities. Currently, artificial pitches are not allowed in the Football League, or the FA Cup, so why would a club install one when it would hamper the club’s progress? If a club wants to gain promotion to the Football League, then an artificial pitch is out of the question. However, this situation could soon change, as the seventy two Football League clubs have agreed to a review of the possible reintroduction of synthetic surfaces, with a public consultation taking place on the matter (this matter was rejected, but will remain on the agenda at upcoming meetings). There has already been a small concession; Maidstone United were allowed to play the preliminary rounds of this season’s FA Cup on the 3G pitch at their new Gallagher Stadium, but they would have had to make alternative arrangements had they got through to the “proper” rounds. Currently, the Football Conference don’t allow artificial pitches in the Premier, as they are not permitted in the league and they don’t want the embarrassment of a promoted club not being allowed entry into the league because of their pitch. They are, however, open to the idea of allowing them in the North and South divisions, a plan which Sutton United are fully behind and are currently gauging the level of support from the Conference’s member clubs. And while that would limit a club’s progress, at least while things remain the way they are, most clubs know their rightful level and would therefore be happy not to go above Conference North or South. So, what about the argument for artificial pitches? Well, for a start there is the fact that they are of a much higher quality and durability than traditional grass and mud. Clubs could hire their pitch out to local schools and teams to play on, without it having an adverse effect on the condition of the pitch. It has been estimated that clubs could generate as much as £150,000 a year from renting out their pitch, which would soon see them recouping that massive initial outlay. Also, if the pitch is being used, then that would mean the catering and bar facilities could also be employed, generating much needed income. The main benefit, though, of a 3g pitch, is the ability to play matches on them. Clubs would virtually never have to postpone a match because of the pitch. They drain better, and if there is a heavy snowfall, it can easily be brushed off the pitch, with no damage caused to the surface underneath. They also don’t cut up like grass and mud do, so there would be no divots, bumps and holes for the players to trip over. This would promote flowing attacking football, and should ultimately improve the quality of matches, and the ability of the players. Of course, while 3G pitches are fantastic, they are not all weather surfaces. Matches still get called off on them, sometimes that is unavoidable no matter what the pitch is made of, but they would go an awfully long way to curtailing the horrendous fixture backlogs faced by many clubs come the end of the season. While they may not be perfect, for me it is a no brainer. Clubs should be allowed to install a 3G surface should they wish to without fear that it may come back to bite them if they go on a cup run, or achieve promotion. Success should be rewarded, not punished. It’s about time the Football League, and indeed the Football Association, realised that they are not the be all and end all of football. FIFA and UEFA allow 3G pitches at the very highest levels of the game, so why should our governing body flout that? I have played on a 3G surface, as many of you reading this will have done. They are superb. The one that I played on, albeit a very poorly maintained one, on a freezing cold Tuesday in February, was much better than many parks or pitches at that time of year. There really is no excuse for skirting the issue anymore. The choice should be there for the clubs to make. Not every club has to have one; in fact lots of clubs won’t want one, but those that do should be free to install one and reap the rewards both on the pitch and off. Posted on January 28, 2013, in UTL Archive and tagged 3G Pitches. Bookmark the permalink. 1 Comment. Spot On! Although i wont be holding my breath for common sense to prevail!